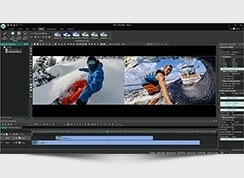 Flash-Integro Co. releases VSDC Free Video Editor 2.0, a comprehensive video creation, editing, montage and capturing tool. 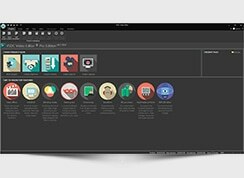 The latest major version offers a large collection of new professional-quality audio filters and effects as well as project backup capabilities. 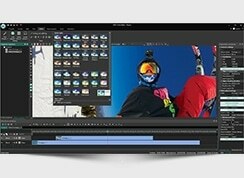 Free, functional and easy-to-use – these are features of the VSDC Free Video Editor. Few tools are really capable of delivering all three of these at once, but that does not seem to be a problem for VSDC. 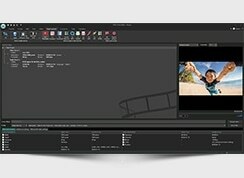 Creating complex video clips, splitting and merging fragments, adding sound effects and background music, as well as applying finishing touches with special effects are easily accomplished thanks to VSDC’s unique non-linear editing paradigm. 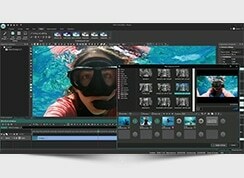 VSDC Free Video Editor 2.0 adds a lot of new audio filters and special effects for more professional soundtracks. Reverberation, phaser, flanger or chorus effects can artistically transform the sound of selected audio segments to make the whole video more captivating. Amplitude correction options as well as a number of audio filters help to deliver the best quality sound and to even out differences in audio level between pieces. This new version introduces automatic project backup that ensures that projects are saved correctly and that several recent revisions are maintained. 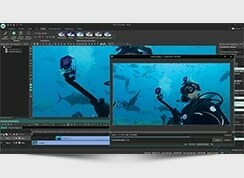 “VSDC Free Video Editor’s non-linear approach is unrivaled in merging creative flexibility with ease and transparency of the video editing process”, says a software designer at Flash-Integro Co. “Users can make shapes, images and video fragments appear and disappear, travel across the screen, interact between each other and more. Effects and filters are object-dependent which opens wide the gate to creating spectacular and complex visuals”.